Saturday 14th December - It's over nearly three months since my excursion to Brockley Market, but it's on every Saturday so let's just pretend it was last week, ok? Sister Jo emigrated to Brockley a couple of years ago, and I finally made it out there before Christmas with the draw of a trip to Brockley Market sealing the deal. The market is open every Saturday from 10am-2pm in Lewisham College Car Park. The closest station is in fact St. John's, but it is a pleasant 10 minute walk away from both Brockley and Lewisham. The market has a little bit of everything - cakes, cheese, wine, chocolate, meat, beer, and some of London's best street food traders. 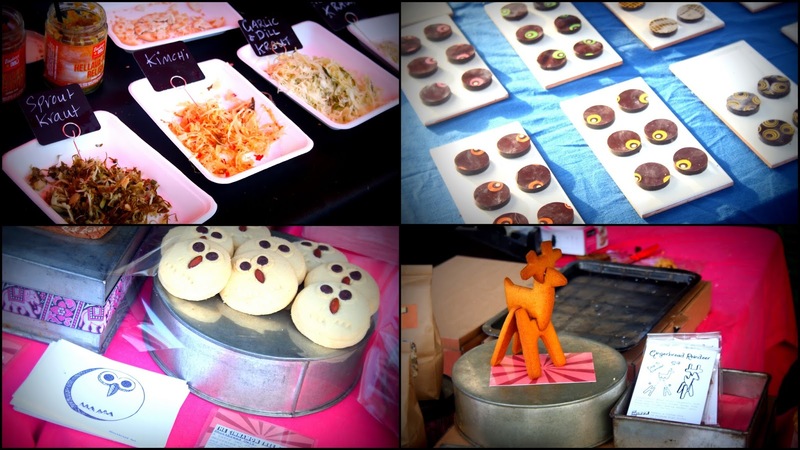 On the stalls front, we were particularly taken with the Cinnamon Tree Bakery shortbread owls, and pretty much everything at the Vadasz Deli pickles & sauerkraut stand - Kimchi kraut, sprout kraut & garlic & dill kraut all went down very nicely. 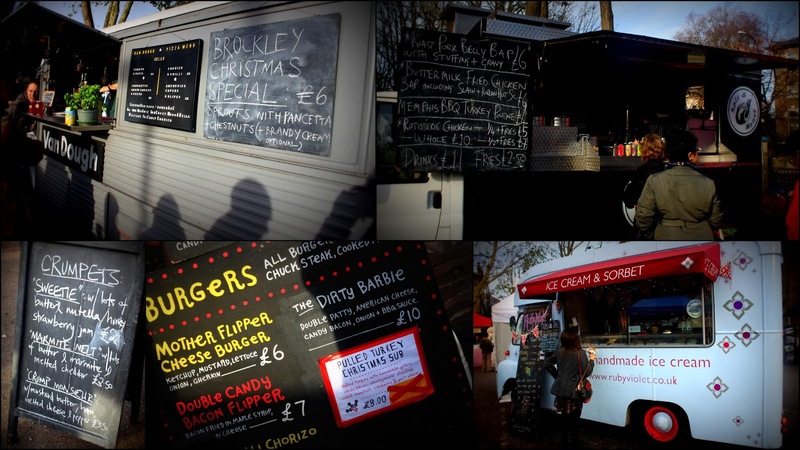 Outside of Kerb & Street Feast, Brockley Market has the best selection of street food traders every week. Van Dough, Mother Flipper, Ruby Violet, Tongue & Cheek (currently in The Joker), Fleischmob (currently in Hand of Glory) and more packed in to the market on our visit. We started with one of Mike + Ollie's incredible Lamb Flatbread Wraps, one of the most delicious street food options in London. 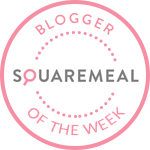 Look out for their supper clubs. Our second main was a large pile of Memphis BBQ Turkey Poutine from Spit & Roast - a heart warming plate of chips covered in cheese curds, turkey mince, and gravy. Their Buttermilk Fried Chicken bap with Korean hot sauce is also a winner. We finished off with a dosant (cronut, cro-dough etc etc) from Kooky Bakes, surprisingly my first foray into the over-hyped croissant vs doughnut field. Flavours were good, but the pastry had an almost oily taste to it that didn't sit right. I'll give them another chance, I'm sure. There are plenty of other lovely places to stop off in Brockley if you want to make a day of it. You could take a stroll through Hillyfields to find a couple of stalls and Pistachios in the Park. The Gantry is a sophisticated little restaurant with separate cosy rooms downstairs - people spill out the front & there is seating in the garden in the summer. The Orchard is a friendly bar & kitchen with comfy seats, nice lighting, boardgames and books. Brockley's Rock is not your average fish & chip shop, with the likes of Grilled Seabass and Salmon on the menu. 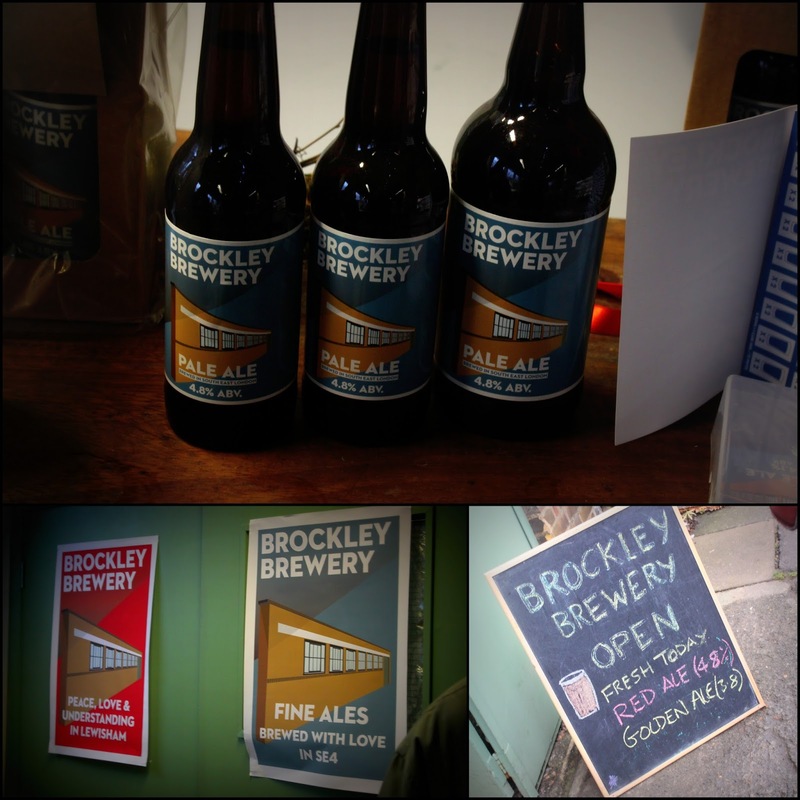 We paid a quick visit to the relatively new Brockley Brewery which opens up to the public on Saturdays (normally 10-2 ish but check Facebook or Twitter). 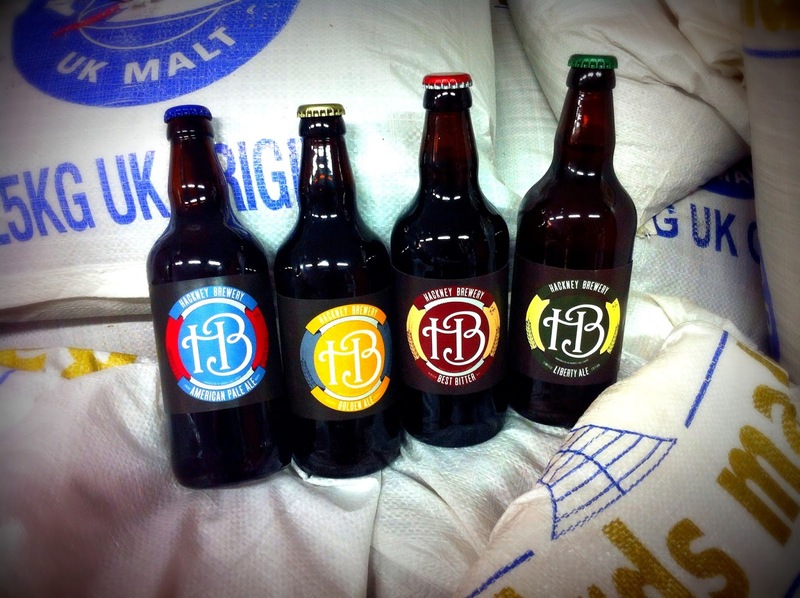 They have bottles & posters to buy, milk cartons to fill up, and fresh beer for sale including Pale Ale, Red Ale & Golden Ale. They are launching a Porter today (March 7th) and having a One Year Birthday Bash on March 14th with craft beer and live local bands from 8-11pm. 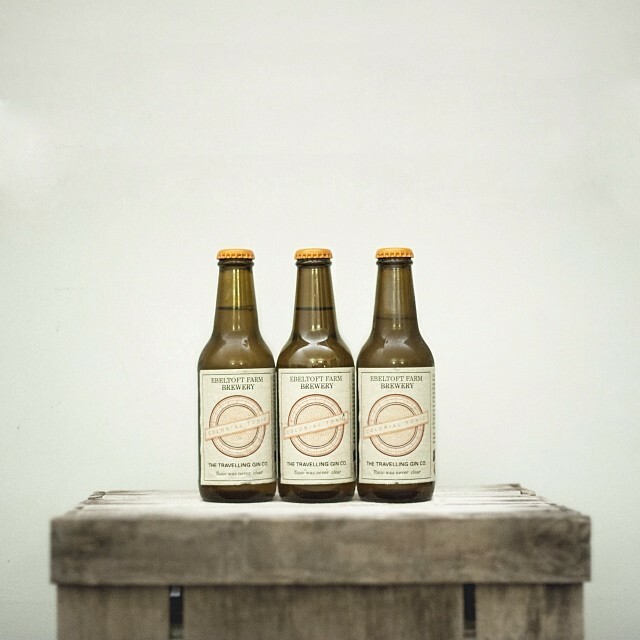 Brockley may be getting more great beer soon in the form of LDN Dispensary, another beer & burger bar from the Late Knights Brewery team after the success of Beer Rebellion in Gipsy Hill. Peckham & Penge are also on the cards. My phone charger was on the fritz, so I had to be careful to link up with people at exact times all day and use numbers written down on actual paper (who knew it was still useful? ), hence why I met up with friend Sam for a brief hour in Horniman at Hay's for a couple of pints and the use of his phone. It's a great spot for a drink if you can get a seat outside on the river looking out at HMS Belfast, but it does get packed after work. After that, I worked my way over to Hoxton for 5pm to link up with my final carer for the evening, Tom. We were on our way over to Drink Feast but decided to poke our heads into the Hackney Brewery en route. They don't have a taproom but were happy to chat to us over a beer as they cleaned up for the day. They have been up and running for 2 years, which makes them pretty old on the London beer scene. 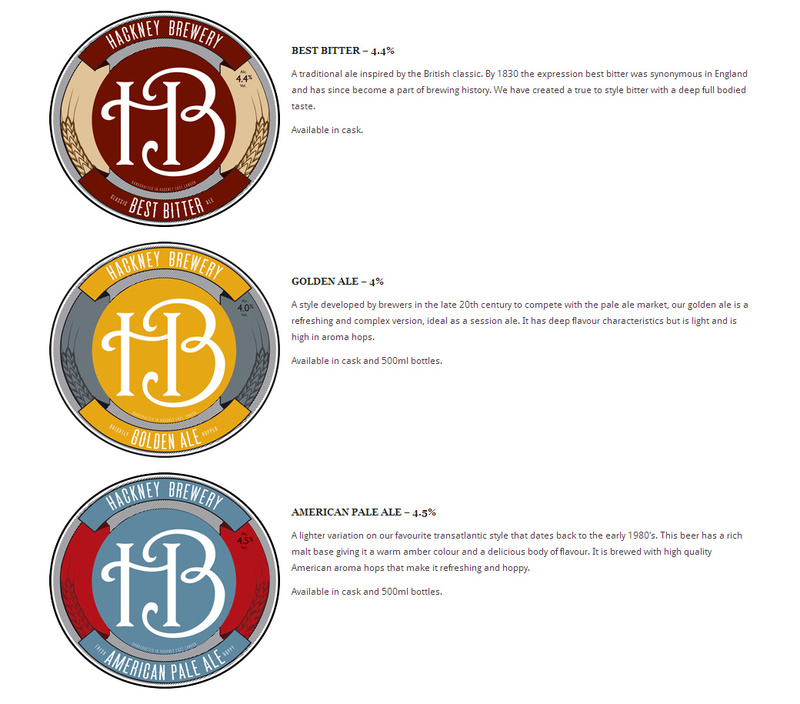 Their Best Bitter and American Pale Ale are regular pints for me around London - highly recommended. They are in high demand, so perhaps a bigger kit / space beckons in the not too distant future for expansion. Finally, we made it to Drink Feast - an ambitious "immersive" bar event from Offbeat that ran all weekend in the wonderful Hoxton Docks. They gathered some of London's best bars together, designed the space like a film set, and brought in some amusing actors to tie it all together - sounds bonkers, but it worked. We started off at an apothecary bar chatting to an enthusiastic doctor before moving on to the Travelling Gin Co., a pop-up drinks project serving up gin-based cocktails from their bicycle bars. 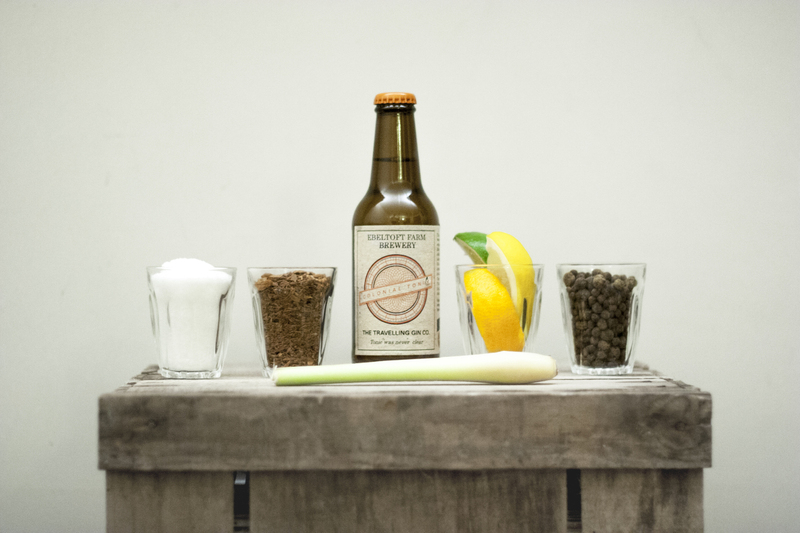 They plan to make their own gin in the future, but already have their own Colonial Tonic (a collaboration with Ebeltoft Farm Brewery) made using Cinchona Tree bark that provides a natural source of quinine. The result is a bitter sweet tonic, golden brown in colour, that is a million miles from Schweppes. I experimented with it at home with the likes of Gordon's, Bombay Sapphire & Hendricks, and found lots of new flavours coming through. Keep track of their blog to see where they might be popping up next. The boys from Nola were down whipping up Hurricanes and more as usual - make sure you go for the full live music & cocktails experience at their bar above Bedroom Bar in Shoreditch. Pisco Fuego brought a sample of their Latin drinking & dining experience down with their medicine-bottled cocktails. We made some new friends outside the Hoxton Docks tequila & sangrita bar (cosily tucked into a shipping container) before heading over to the Kindred Spirits bar. 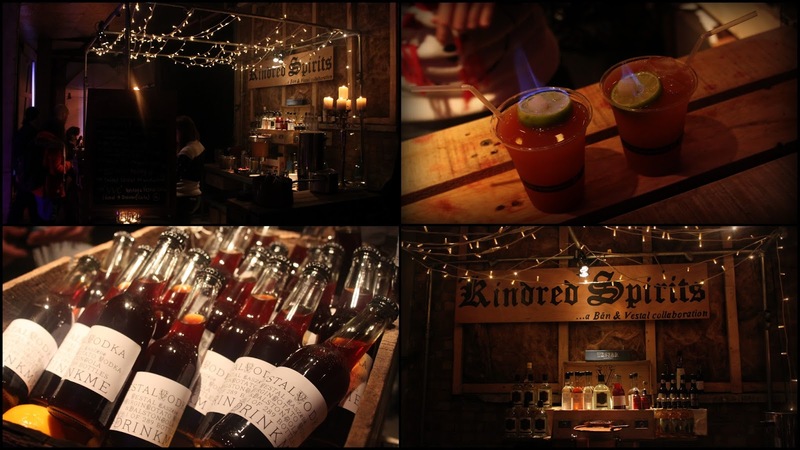 Kindred Spirits was a pop-up bar shared between Bán Poitín and Vestal Vodka. I was already very familiar with Vestal Vodka after going on an awesome Vestal Voyage cocktail canal trip on Regent's Canal last year. They are still running the experience regularly and I highly recommend taking them up on it! There was a decadent Drink Feast option of arriving in to the Hoxton Docks space on the Vestal Voyages boat. Vestal owner William Borrell was on hand to chat about their superb range that really are a cut above most of the competition, from the creamy Kazebe vodka to the hard-to-find Amber Elderflower liqueur. They have also recently teamed up with Dalston Cola to make a vodka coke worth drinking! 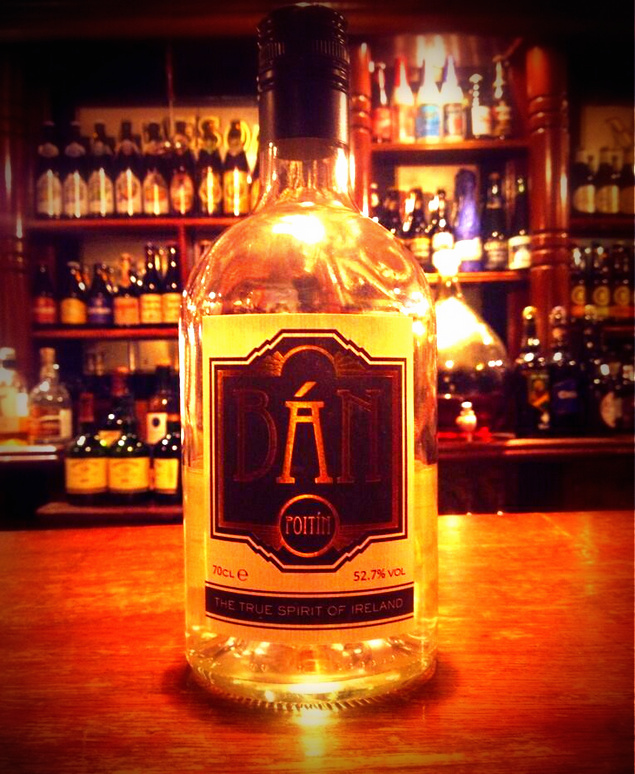 Sharing the bar were Bán, a boutique spirit company bringing back Poitín, a very strong Irish distilled spirit that was banned for over 300 years - it can clock in anywhere between 40%-90%. At 52.7%, most people will want to mix Bán but it is drinkable on its own! Cara from Bán made us two fantastic flaming Leprechaun Zombies (see below) that were dangerously quaffable. The best place to sample Bán in London is definitely Shebeen - an Irish bar with generous happy hours tucked below Kentish Canteen, dedicated to Poitín. Shoreditch Grind were doing a roaring trade, shifting Espresso Martinis as fast as they could. Barchick were also tucked away in a corner, running a bonkers little disco bar - they seemed to be having a pretty good time themselves with the limbo combined with shots keeping them entertained. Our favourite bartenders of the night were the guys from Bon Vie Recruitment who looked after the Ruski's stall for the night. Ruski's is a vodka & caviar tavern, which is currently moving to a new location after opening briefly in High Street Kensington opposite their sister venue Bodo's Schloss at the end of last year. We sampled a fair amount of the very drinkable smooth Belenkaya vodka, before Tom got into a lengthy discussion with one of the character actors about conductor Valery Gergiev and anti-gay legislation in Russia - whether she was interested (or indeed Russian) or not, she kept a straight face and earnestly chatted away. We ended the evening listening to to Benoit Viellefon & His Orchestra, an excellent gypsy jazz band that I coincidentally seen for the first time days before at The Last Word. If hot club swing jazz is your thing, then you need to get yourself over to Le Quecumbar in Battersea. There were street food trucks on hand to soak up some of the booze - they were quite hard to find, but allowed the bars to take centre stage. Offbeat really pulled it off at Drink Feast, and I am glad they are doing it all again this summer. My photos don't do justice to the stunning event that they created, and the friendly atmosphere with actors & bartenders joining forces was a joy to experience. Pre-release tickets go on sale on 1st April - put that date in your diary, and I'll see you there!